Custom-built reach in closet options made in Boston, MA. Our designs can include custom shelving, storage cabinets and more. 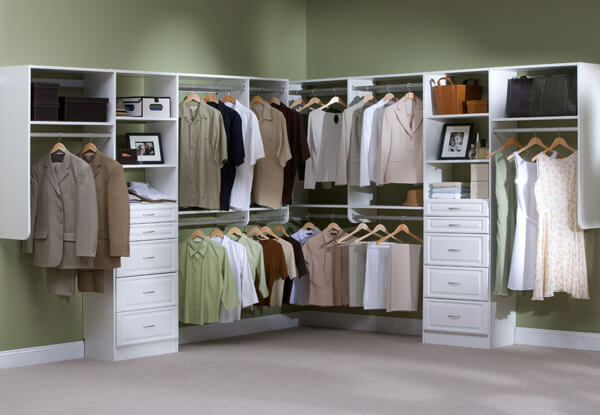 Boston Closet Company is the leading provider of quality reach-in closet organizers in Massachusetts. The custom closet systems we offer are the perfect home addition for families looking to upgrade their storage space without breaking the budget. Our family-owned closet organization company has been in business for nearly four decades and offers a whole line of reach-in and walk-in closet organizers to match any interior design. Boston Closet Company’s professional designers offer a FREE in-home consultation to build a beautiful-looking, fully customizable reach-in closet using different wood, laminate and shelving options. Reach-in closets create additional usable areas in bedrooms, guestrooms and other rooms throughout your home. If you are continuously struggling to keep your clothes, accessories and other items organized, our reach-in storage systems are the perfect solution! We also build entertainment centers! Have you ever dreamed of the perfect bedroom reach-in closet to complete your living space? 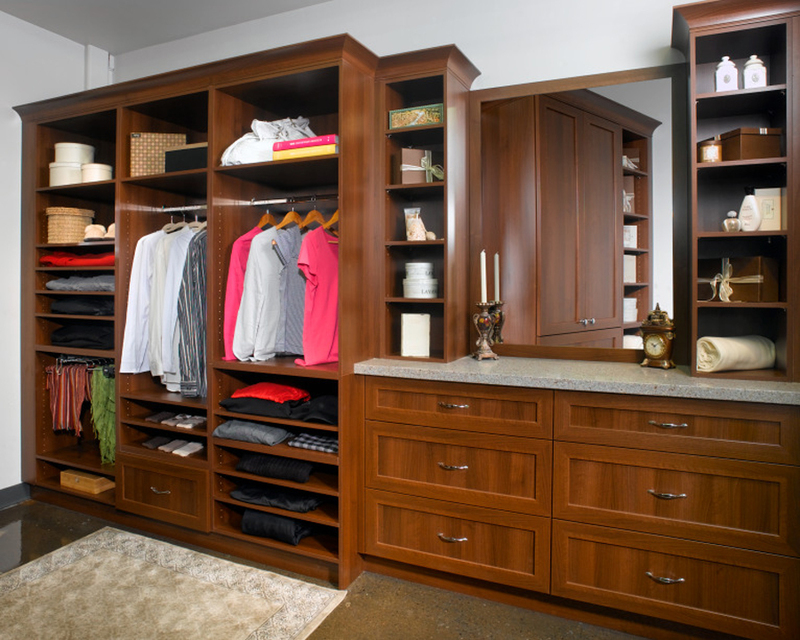 At Boston Closet Company, our skilled closet organizer designers can make that dream a reality! No job is too time-consuming for our team and we believe in complete customer satisfaction with each project we complete. If your current closet has seen better days and you want something more sleek and modern, perhaps featuring pull-out shelves or custom drawers, we can help. After we’ve finished, you will be the proud owner of a storage space that is so well organized that you’ll be able to find every item of clothing you need in no time at all! 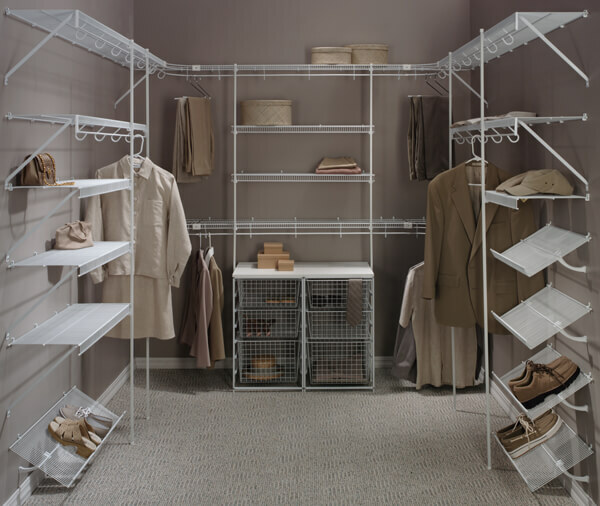 Our reach-in closet set-ups are designed to match the décor of the room and will help to streamline your wardrobe-based decisions, reduce clutter, and maximize unused areas around the home. For families in New England who are interested in the design and installation services offered by Boston Closet Company, including our reach-in and walk-in closets, feel free to contact us online or call 617-628-1150 for a no-obligation design consultation.